I have just published a Welsh book about my life and mental health struggles over the last 5 years. Life was great and I was happily resting on a beautiful cloud following the publication, until recently when my mental health took a nosedive and I found myself, perhaps for the 5/6 time in my life deep in crisis. But, there’s one big difference this time, I plan on trying to fight Depression/BPD out in the community instead of going back into hospital (which is what I’ve done every other time). One thing that I hope will help me this time is walking. My CPN (June Jones) thought about a great challenge I could do – walking 100k by my 33rd birthday 19 of September. And, the amazing thing is that June says she’s in on it too and will be walking this journey alongside me. We plan to walk 3 or 4 x 5k walks a week for the next 6 weeks. We’ll also be inviting all who are interested to join us for the last 5k walk (details of the walk/time will be published in the near future). I’ll be posting pics of walks on Faceook and Twitter. 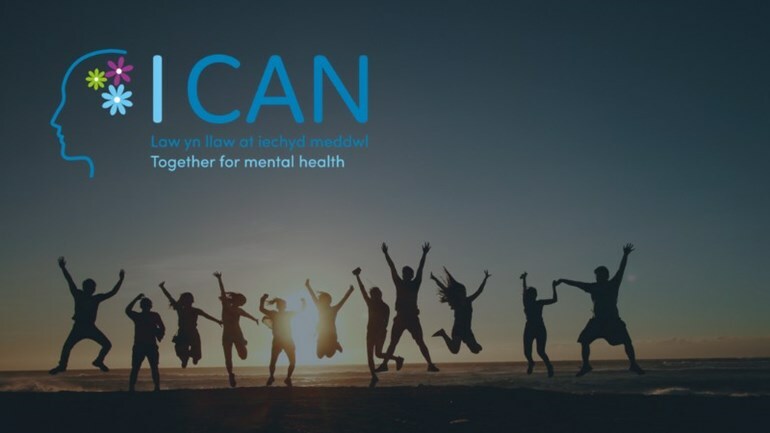 I CAN is being led by a coalition of people who are committed to bettering the range of community support services available while helping to tackle stigma and encourage open conversations about mental health.People who are Independent, Contributing, Active and Networked enjoy better mental health and wellbeing. They have more resilience, enabling them to face life’s challenges and say I CAN.